"5 Marketing Strategies That Will Generate Results in 2019"
In this post, we will share five important tactics to include in your 2019 marketing efforts that should impact your performance. 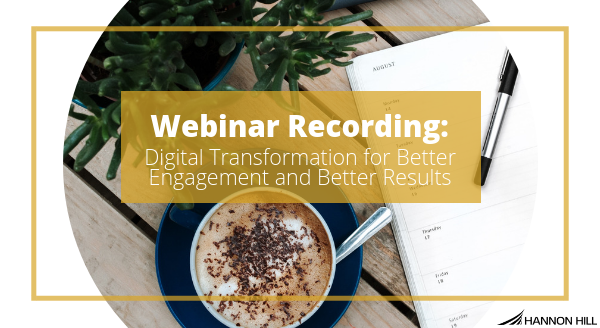 "Webinar Recording: Digital Transformation for Better Engagement and Better Results"
Check out this blog post to access a recording of our webinar: Digital Transformation for Better Engagement and Better Results. "Centralized vs. Decentralized Web Governance - What’s Right for You?" In this blog post, we take a look at the two primary ways in which web governance teams are structured and initial steps to take to put a policy in place. 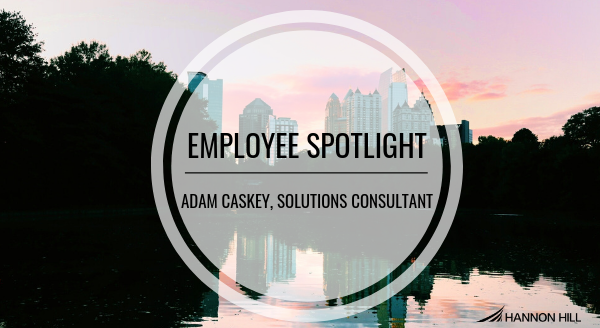 "Employee Spotlight: Adam Caskey, Solutions Consultant"
In this blog post from Hannon Hill, we spend a little time getting to know Adam Caskey. 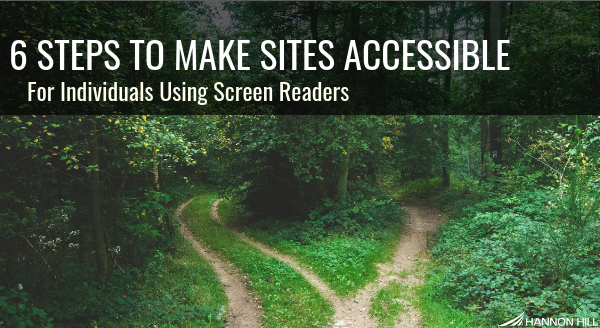 "6 Steps to Make Sites Accessible for Individuals Using Screen Readers"
In this post, we’ll share six techniques to creating accessible websites for individuals using screen reading technologies. 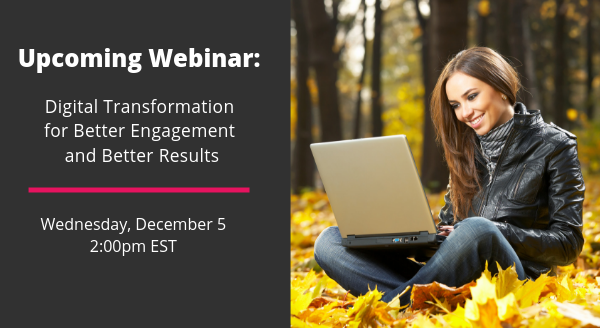 "Upcoming Webinar: Digital Transformation for Better Engagement and Better Results"
In this webinar, Kat Liendgens will examine some of the ways in which higher education institutions are approaching the challenge of optimizing the visitor experience for their target personas. Claim your spot now! 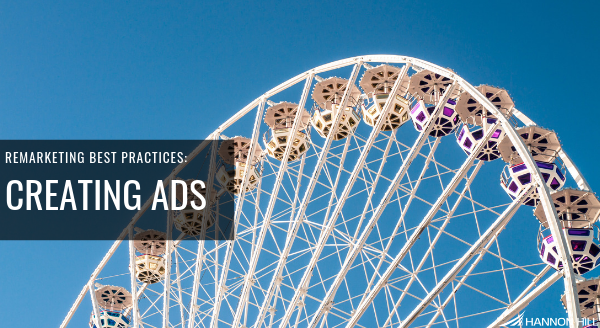 "Remarketing Best Practices: Creating Ads"
Learn best practices for creating the most effective remarketing ads. "Cassie Awards - Succeeding with Cascade CMS"
The Cassie Awards celebrate the most successful users of Cascade CMS and spotlights their unique efforts with the content management solution. 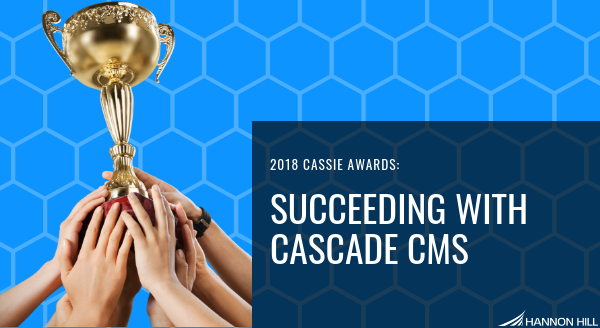 In this blog post, we share the winners of the 2018 Cassie Awards and highlight their achievements. 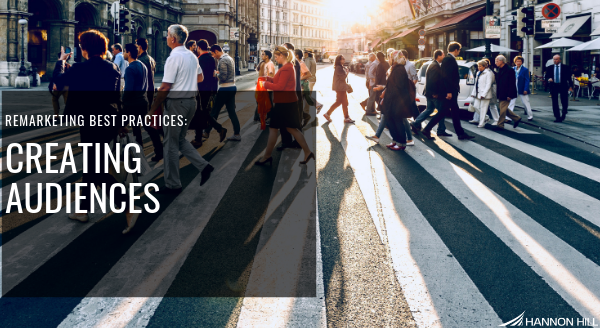 "Remarketing Best Practices: Creating Audiences"
Learn how to set up segmented audiences in preparation for the most effective remarketing ads. 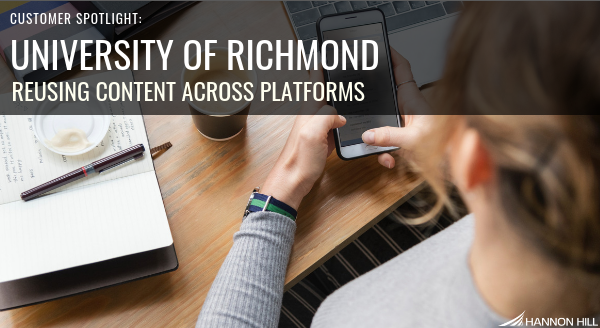 "Customer Spotlight: University of Richmond"
Learn how the University of Richmond utilizes Cascade CMS to reuse content across multiple platforms. With over 50 Content Types rendering XML, Richmond has created a smart COPE model with no duplicate content. "Remarketing Best Practices: Bringing Visitors Back to Your Website"
In this three-part blog post series, we take a look at remarketing best practices for bringing visitors back to your site. Part One focuses on planning and initial steps required to launch a successful remarketing campaign. 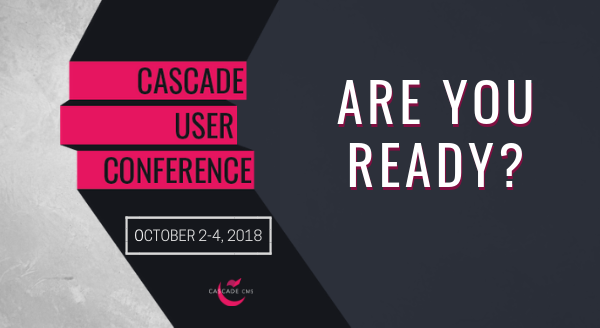 "The Cascade User Conference is Next Week, Are You Ready?" The Cascade User Conference is Next Week, Are You Ready? Our annual user conference is next week and we’re so excited. Read this blog post for a quick overview of what attendees will enjoy at #CUC18. 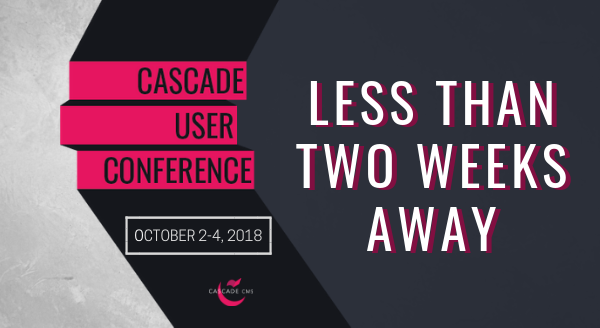 "The Cascade User Conference is Less Than Two Weeks Away!" The Cascade User Conference is Less Than Two Weeks Away! It’s nearly that time of year! The 2018 Cascade User Conference is upon us! 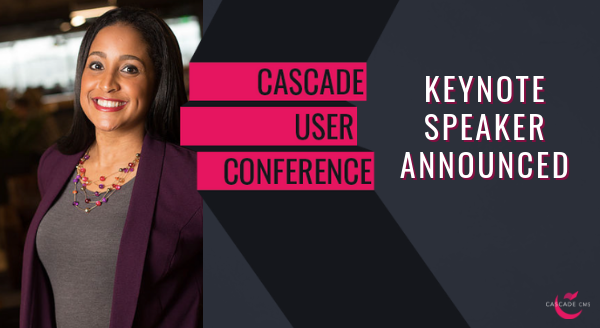 We're thrilled to announce this year's keynote speaker at the Cascade User Conference: Mia Martin. 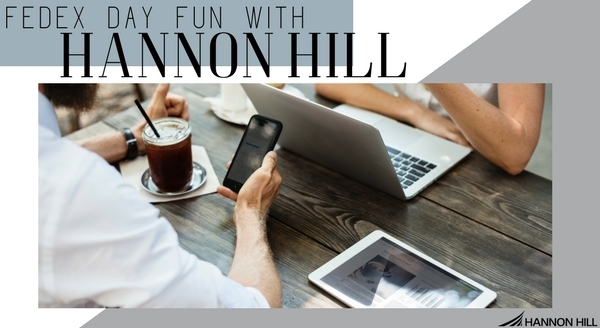 She is a certified digital marketer and trained professional speaker who will talk to us about the importance of personalization on the web, staying abreast of marketing trends, and how to network for success. 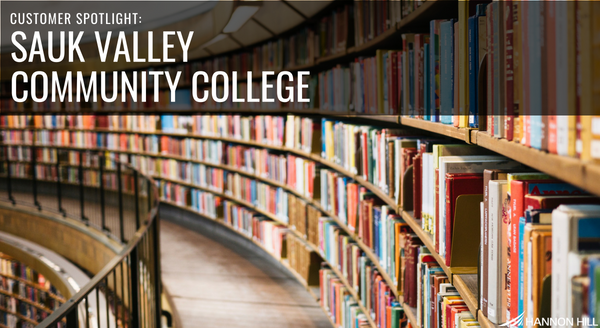 "Customer Spotlight: Sauk Valley Community College"
In this blog post, we take a look at how Sauk Valley Community College is integrating Cascade CMS with other applications and systems to avoid entering the same content more than once. "Start With Your Goals, Not Your Technology"
With conservative budgets and high expectations, it can be a challenge to find the right products for your organization. 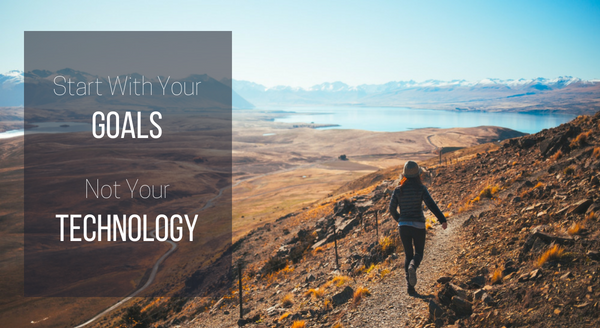 In this blog post, we dive into one of the most common pitfalls: starting with the technology instead of your goals. 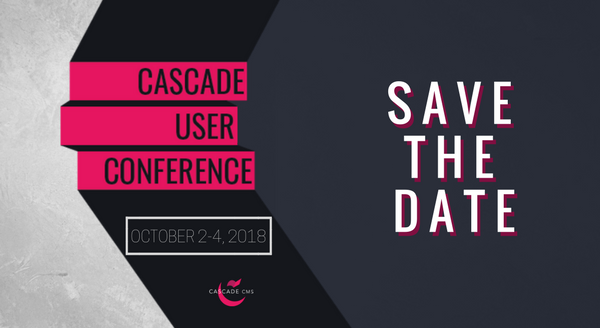 Check out this blog post to learn about the schedule of topics and presenters lined up for the this year’s Cascade User Conference. 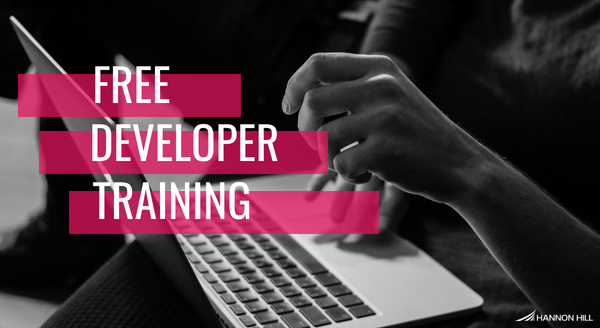 Dive into the technical aspects of Cascade CMS by participating in our free quarterly workshop. "Have You Registered for #CUC18?" Join us in Atlanta October 2-4 for the 13th annual Cascade User Conference. We're only eight weeks away! 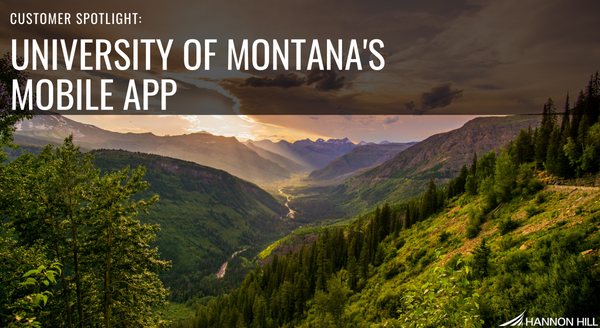 "Customer Spotlight: University of Montana's Mobile App"
Learn how the University of Montana used Cascade CMS to strategically create once, publish everywhere by pushing content to its mobile app. "Calling All Speakers! 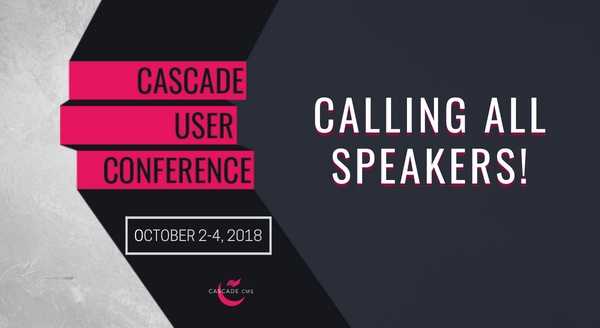 Only a Handful of #CUC18 Speaker Slots Remain"
The deadline to submit a speaker proposal for this year’s Cascade User Conference is less than two weeks away! Submit your ideas soon to be considered for a speaker slot, which comes with a free conference pass, a $1,050 value. 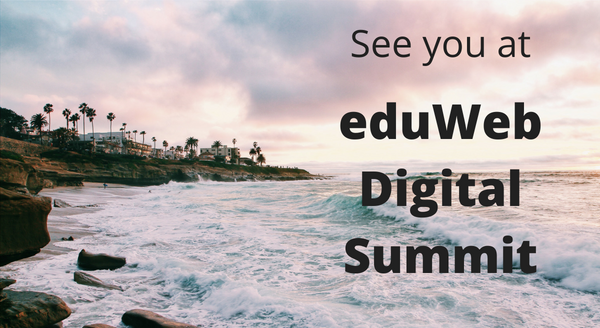 "See you at eduWeb Digital Summit"
This year, are traveling to sunny San Diego to attend the annual eduWeb Digital Summit. We hope to connect with you there! "#CUC18 Social Event Details Released"
In addition to great learning and networking experiences, we’ve set aside time to have a lot of fun at #CUC18! 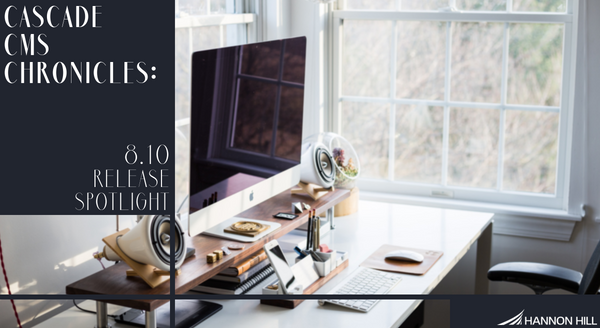 "Cascade CMS Chronicles: 8.10 Release Spotlight"
Cascade CMS 8.10 includes a number of features and enhancements centered around how dates are displayed throughout the application and improving the overall user experience when viewing the contents of containers. This release also includes an upgrade to Tomcat among other improvements and fixes. 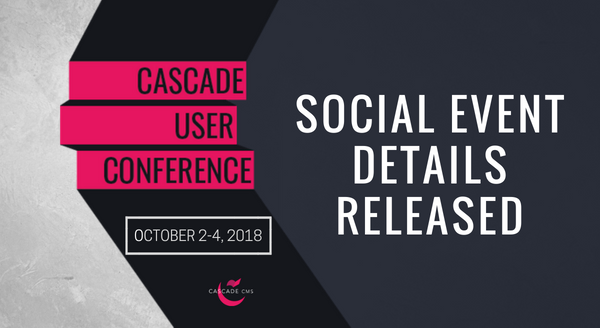 "Five Reasons You Can't Miss the Cascade User Conference"
CUC18 features an all-new venue, updated workshops, and fresh social events. This post highlights five ways these changes will enhance your #CUC18 experience. "Community Service Day: Special Olympics of Georgia"
Each quarter, we serve Atlanta’s community with a service project. Read this blog post to learn about our recent work with the Special Olympics of Georgia. "Cascade CMS Chronicles: Features That Promote Accountability"
Cascade CMS fosters collaboration, supports content quality, and enables accountability. In this blog post, we look at three ways Cascade CMS promotes accountability. 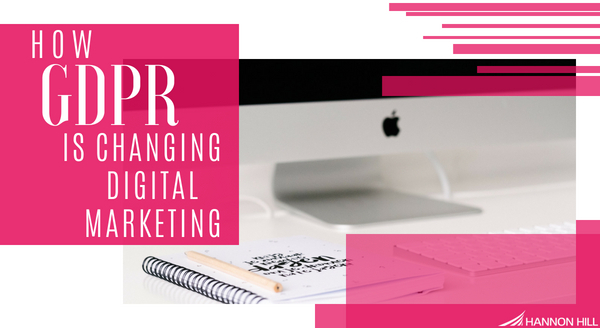 "How GDPR is Changing Digital Marketing"
You’ve probably heard a lot about the General Data Protection Regulation or GDPR. In this blog post we explain how the GDPR will impact digital marketing practices. "Fostering Employee Engagement with Events"
Great companies are built on strong relationships. 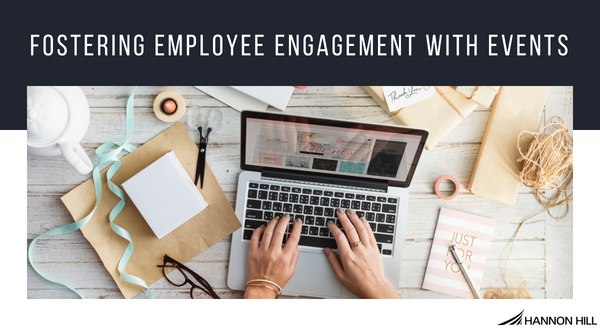 In this blog post, we explain how we build employee engagement with events. 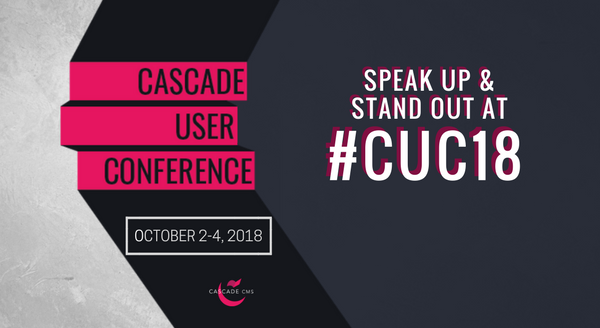 "Speak Up & Stand Out at #CUC18"
Tons of benefits come with speaking at the Cascade CMS User Conference. Read this blog post to see what you gain by speaking at this event. 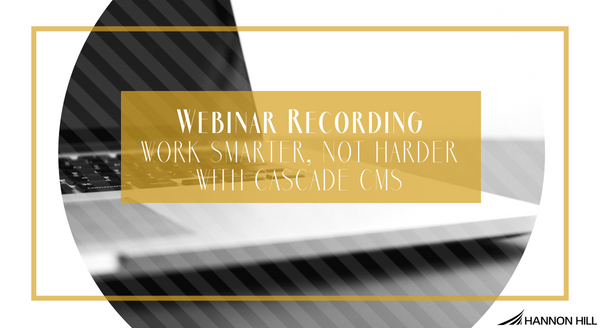 "Webinar Recording: Work Smarter, Not Harder with Cascade CMS"
Many are tasked with accomplishing more with less and with Cascade CMS, it’s possible.This webinar explains how one client used templates built in Cascade CMS to power their site’s redesign. 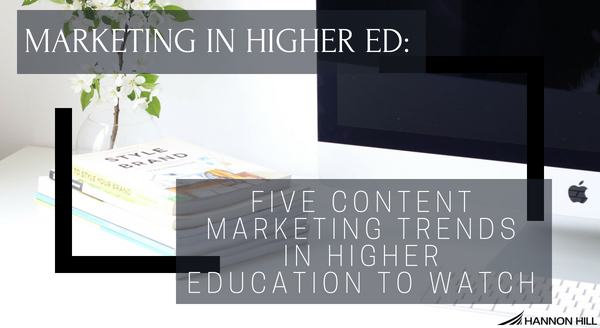 "Marketing in Higher Ed: 5 Content Marketing Trends in Higher Education to Watch "
Wonder what the future holds for marketers in higher education? Check out this series closer to learn which five content marketing trends we’ve got our eyes on. 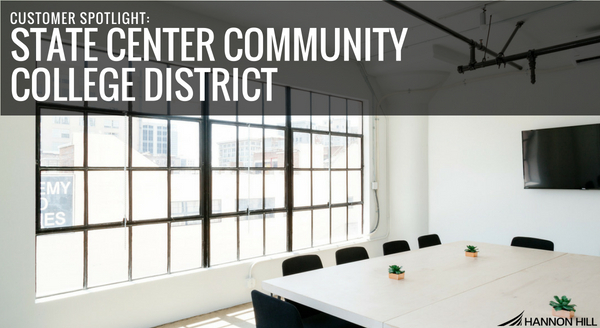 "Customer Spotlight: State Center Community College District"
In this blog post, we look at the award-winning, newly redesigned website for the State Center Community College District. 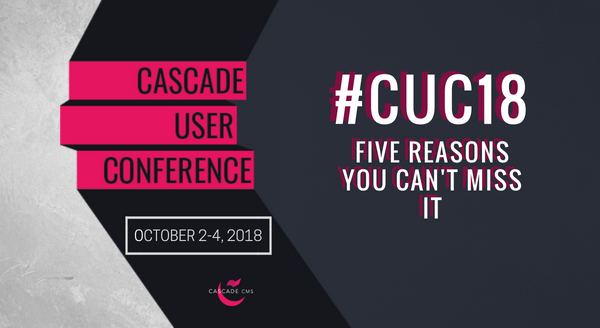 "10 Reasons to Attend #CUC18"
If you’ve never attended a Cascade User Conference, you may be wondering why you should attend. Here are ten reasons you should join us at #CUC18. 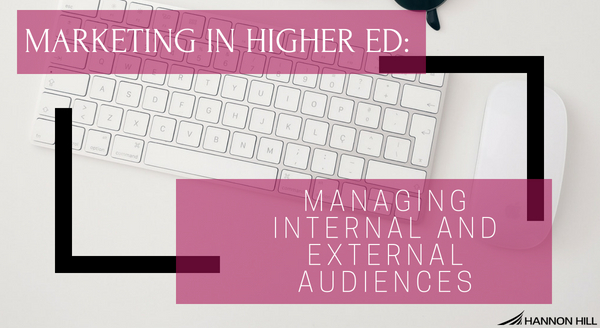 "Marketing in Higher Ed: Managing Internal and External Audiences"
Marketing teams respond to needs of internal and external stakeholders simultaneously. In this blog post, we explain how to balance both while driving results. 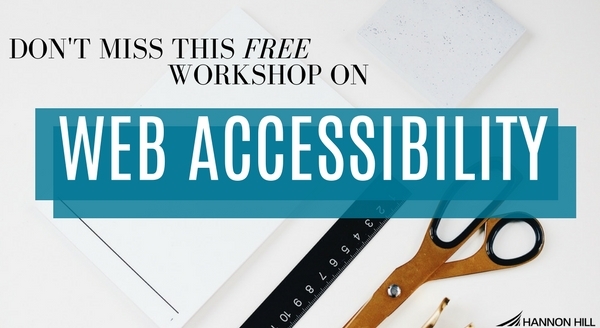 "Don’t Miss This Free Workshop on Web Accessibility"
Web accessibility is a huge priority for those working in higher education. In this blog post, we highlight a free event we’re hosting with our partners at Siteimprove. "Why We’re Taking #CUC18 to the Georgian Terrace Hotel"
The Georgian Terrace Hotel is one of Atlanta’s most beautiful destinations, it’s also where we’ll host this year’s user conference. Read this blog post to learn more about our new conference venue. "Marketing in Higher Ed: Content Distribution Explained"
How content is delivered to audiences is a critical component of Content Strategy. In this blog post, we explain how to improve content distribution in higher ed. "#CUC18: Register Now for Early-Bird Rates"
Get your #CUC18 ticket early and save. Read this blog post to learn how to save more than $100 on your conference passes. "Marketing in Higher Ed: Messaging at Colleges & Universities"
Knowing how to communicate your brand’s value is essential. 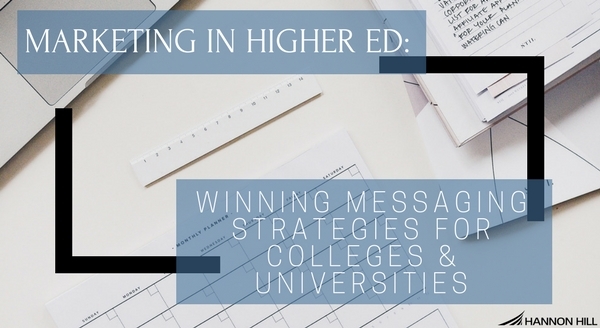 In this blog post, we highlight effective messaging strategies for marketers in higher education. 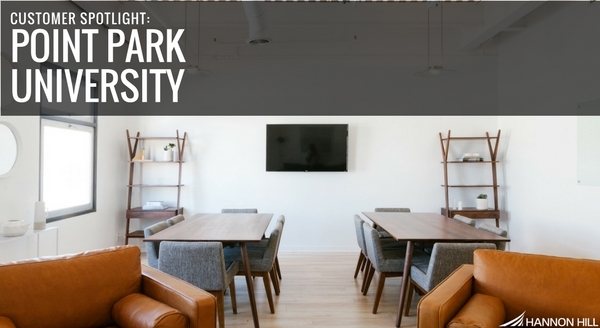 "Customer Spotlight: Point Park University"
Redesigning a website can be a huge undertaking. In this blog post, we highlight how we helped the web team at Point Park University implement an entirely new website. "FedEx Day Fun with Hannon Hill"
Each year we spend one full day tackling projects that will improve our work. In this blog post, we highlight projects from this year’s event. 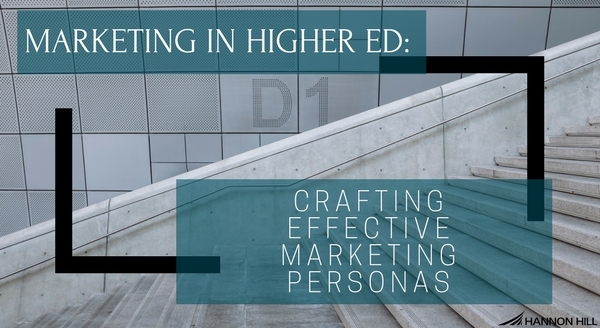 "Marketing in Higher Ed: Crafting Effective Marketing Personas"
Understanding your audience is an essential element of any marketing activity. In this blog post, we explain how to craft useful personas to influence marketing communications. 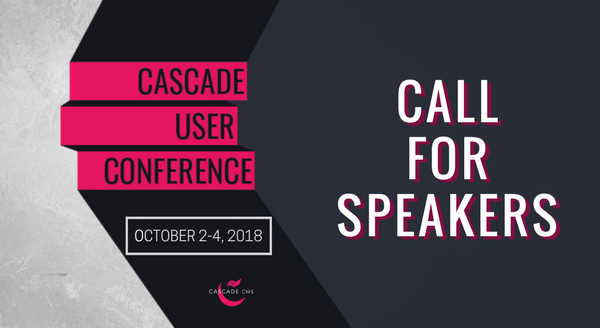 "#CUC18 Call for Speakers Now Open"
If you’re a Cascade CMS expert, it’s your time to shine. 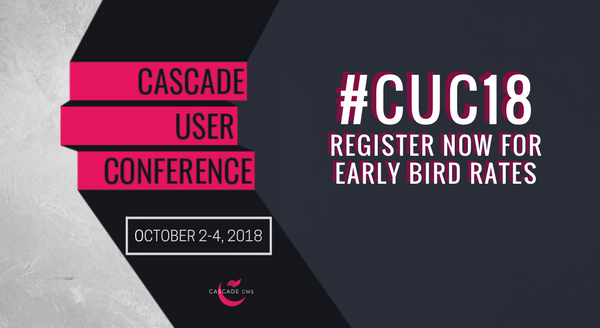 Read this blog post to learn how to use your knowledge of Cascade CMS to earn a free ticket to #CUC18. 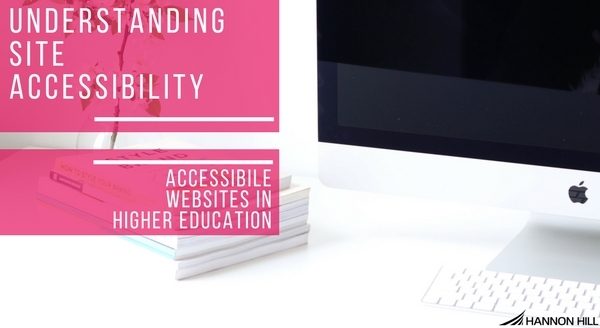 "Understanding Site Accessibility: Accessible Websites in Higher Education"
Maintaining accessible websites is essential in higher education. In this blog post, we highlight various organizations that are succeeding with site accessibility. 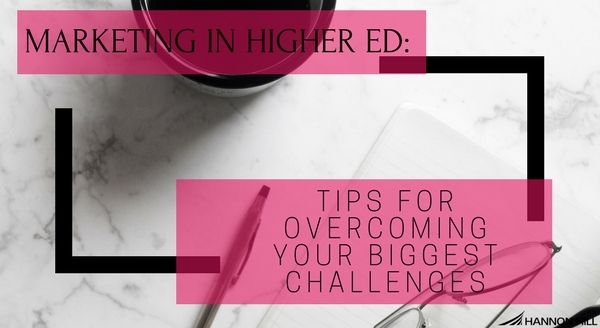 "Marketing in Higher Ed: Tips for Overcoming Your Biggest Challenges"
Marketers in higher ed face unique challenges that many overlook. In this blog post, we introduce a series dedicated to solving common issues facing marketers in higher ed. "Save the Date! The 13th Annual Cascade CMS User Conference is Coming!" Save the Date! The 13th Annual Cascade CMS User Conference is Coming! We’re gearing up for our favorite time of year, Cascade CMS User Conference. Read this blog post to learn critical information about this year’s event. "Cascade CMS Chronicles: Use Content Tags to Promote Content Discovery"
Help site visitors discover content they’ll love with Cascade CMS. Read this blog post to learn about a new feature that makes linking related content easy and simple. 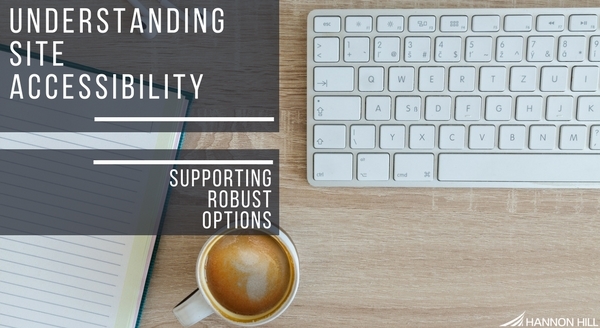 "Understanding Site Accessibility: Supporting Robust Options"
Many users rely on assistive technologies to interact with content online. In this blog post, we’ll explain how to make your site compatible with various user agents. 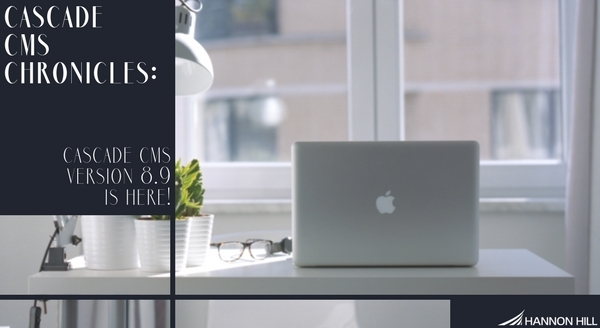 "Cascade CMS Chronicles: Cascade CMS 8.9 is Here"
We constantly improve Cascade CMS so users can achieve more. In this blog post, we highlight features in Cascade CMS 8.9 that support efficiency. 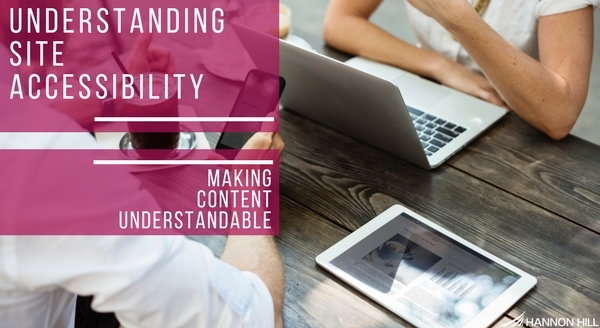 "Understanding Site Accessibility: Making Content Understandable "
Making content work for individuals with an array of interests and abilities can be difficult. In this blog post, we explain how to make content more understandable. 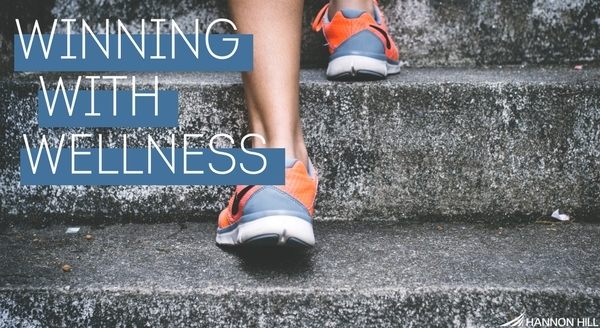 In this blog post from Hannon Hill, we look at how our wellness initiatives influence our company culture. 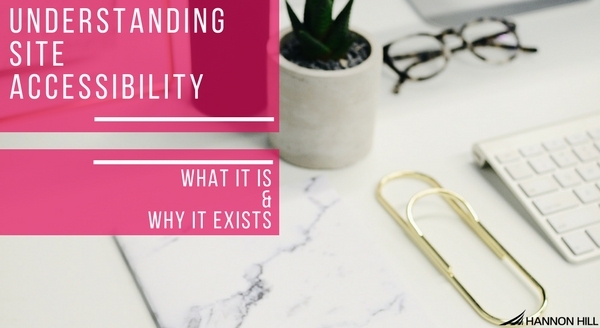 "Understanding Site Accessibility: Why Operability Is Important"
Accessibility is about more than alt tags and video captions, it’s about helping users move through your site with ease. 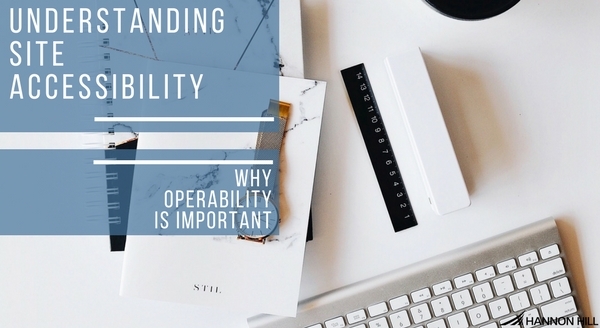 In this blog post, we explain the principle of operability and explain why it’s essential to site accessibility. 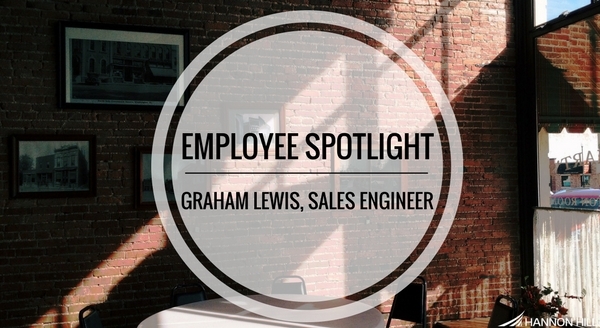 In this blog post from Hannon Hill, we spend a little time getting to know Graham Lewis. 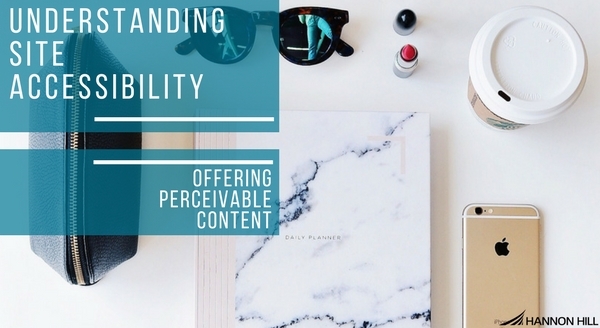 "Understanding Site Accessibility: Offering Perceivable Content"
Offering equal access to websites means meeting several standards governing site accessibility. In this blog post, we explain the fundamentals of perceivability. 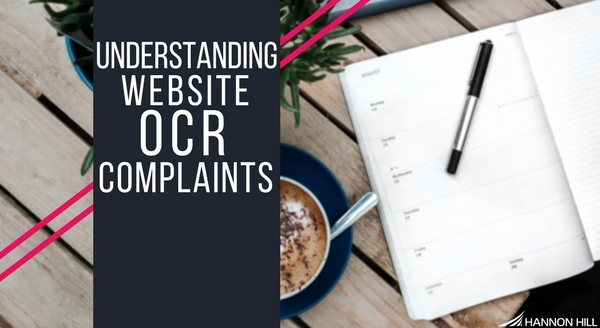 Receiving a letter of complaint from the Office of Civil Rights is a serious matter. This blog post explains the remediation process and how to prevent future issues. "Understanding Site Accessibility: What It Is and Why It Exists"
Focusing on site accessibility is one to improve the experience of many users at once. In this blog post, we’ll explain site accessibility and why it matters. 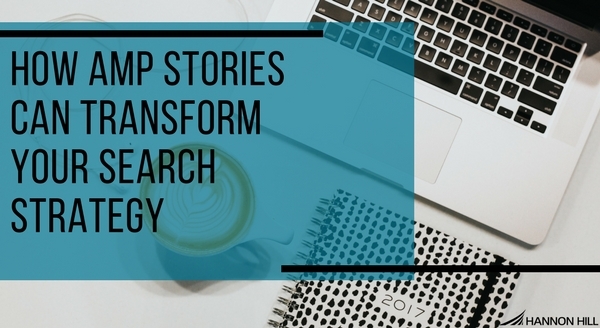 "How AMP Stories Can Transform Your Search Strategy"
New technology has transformed SEO in various ways. In this blog post, we explain how to use a new kind of search to drive more traffic to your website. In 2017, we expanded our marketing team to include a new role dedicated to the creation, curation, and circulation of entertaining and informative content. 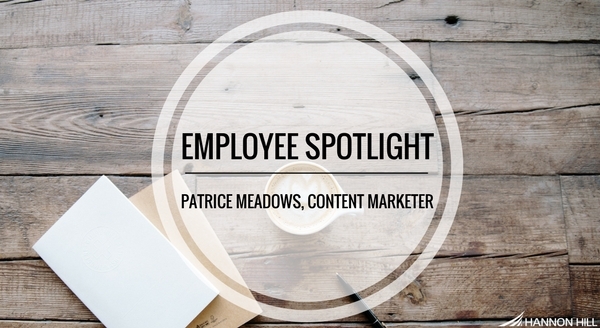 In this employee spotlight, we learn a bit more about the person behind that process, Patrice Meadows, and how she fits into the Hannon Hill team. 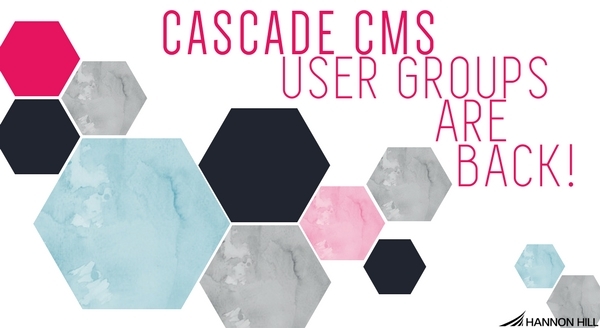 "Cascade CMS User Groups Are Back"
User Groups connect customers from various organizations to exchange practical tips and best practices for using Cascade CMS. Read this blog post to learn more about the first Cascade CMS User Group sessions of 2018. 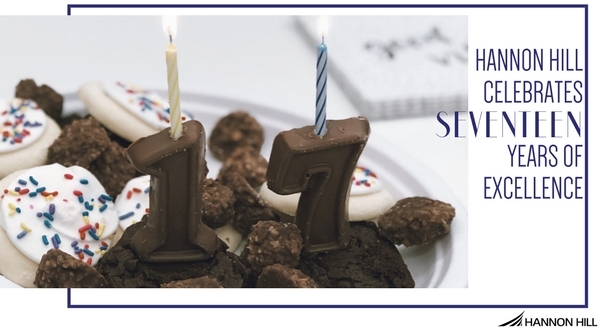 In this blog post from Hannon Hill, we celebrate the 17th year of Hannon Hill! 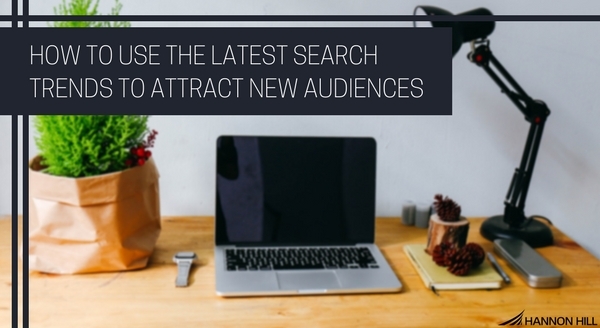 "How to Use the Latest Search Trends to Attract New Audiences"
There’s always something new to learn in digital marketing. In this blog post, we discuss which recent search trends present new opportunities for digital marketers. 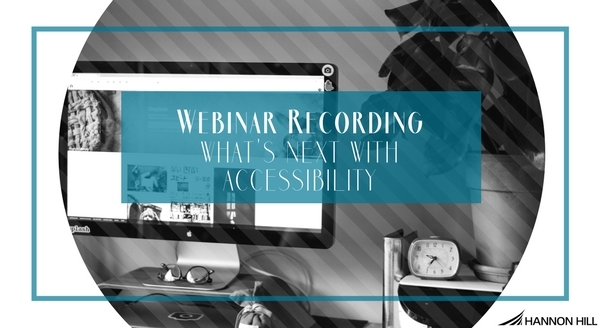 "Webinar Recording: What’s Next With Accessibility"
Maintaining accessible websites is a huge priority for those in higher education or government. This blog post announces the release a webinar recording that explains key elements of web accessibility. 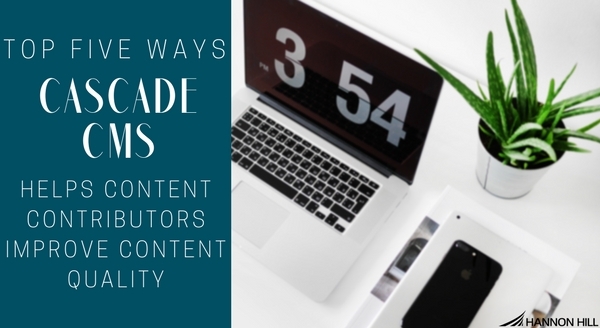 "Top 5 Ways Cascade CMS Helps Contributors Improve Content Quality"
Creating outstanding content means supporting contributors at every turn. This blog post highlights five ways that Cascade CMS helps contributors create better content. 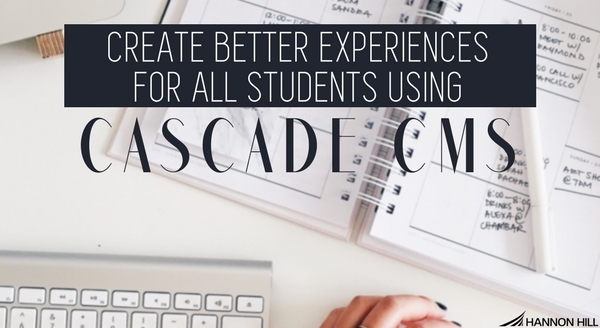 "Create Better Experiences for All Students Using Cascade CMS"
Creating messages that resonate with prospective students is essential. This blog post explains how Cascade CMS makes it easy to connect with students no matter who they are. 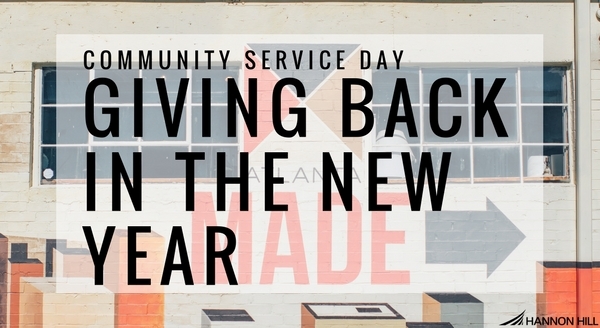 "Community Service Day: Giving Back in the New Year"
In this blog post from Hannon Hill, we spotlight our community service event with KIPP WAYS Academy. 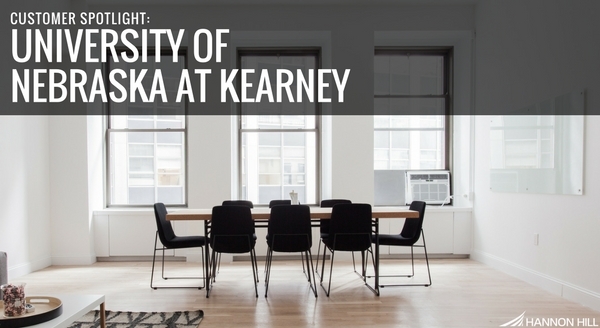 "Customer Spotlight: University of Nebraska at Kearney"
In this blog post, we talk to UNK about their accessibility plan, best practices, and recommendations for other organizations. 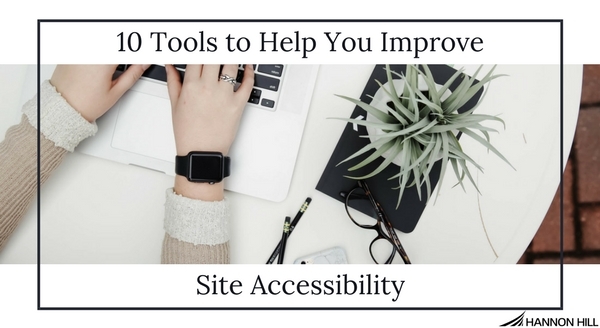 "10 Tools to Help You Improve Site Accessibility"
There’s still time to ensure that your organization’s site complies with federal regulations on web accessibility. This blog post highlights ten tools that help you find accessibility issues on your website. 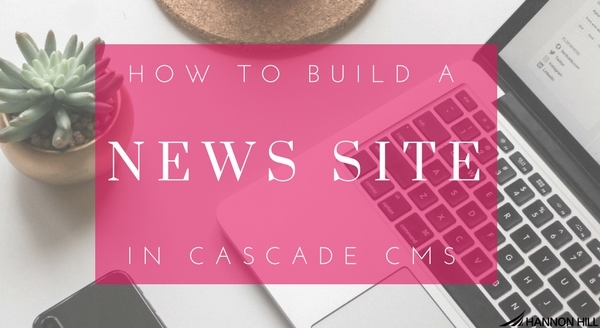 "How to Build a News Site in Cascade CMS"
Helping site visitors find new ways to interact with content can help improve their digital experience. In this blog, we share tips for creating a news site using features in Cascade CMS. 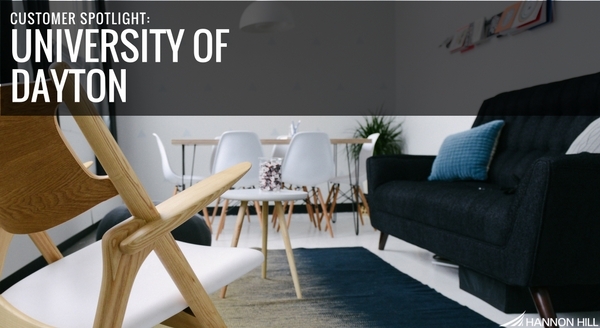 "Customer Spotlight: University of Dayton"
In this blog post from Hannon Hill, learn how the University of Dayton’s IT and Marketing teams work together to create a successful recruiting website. 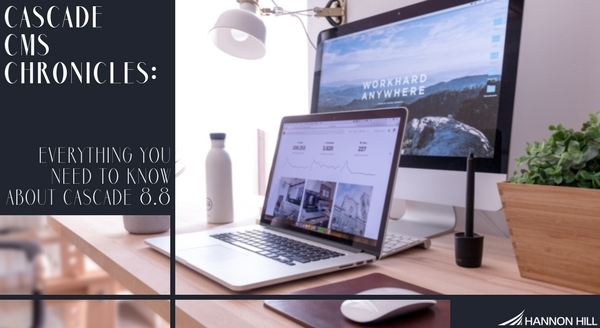 "CMS Chronicles: Everything You Need to Know About Cascade CMS 8.8"
We’re committed to giving teams the tools they need to create and manage quality sites. In this blog, we highlight some of the ways users do more together with Cascade CMS. 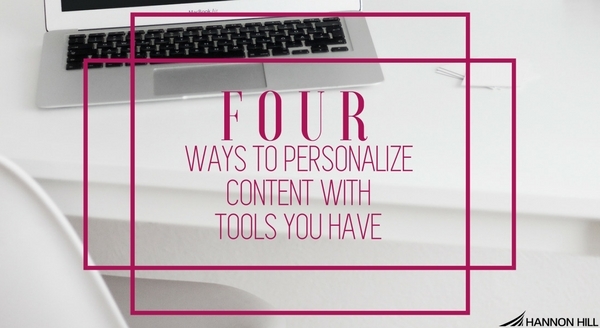 "Four Ways to Personalize Content With Tools You Have "
Creating experiences customers and prospects value means personalizing content to fit their needs or interests. 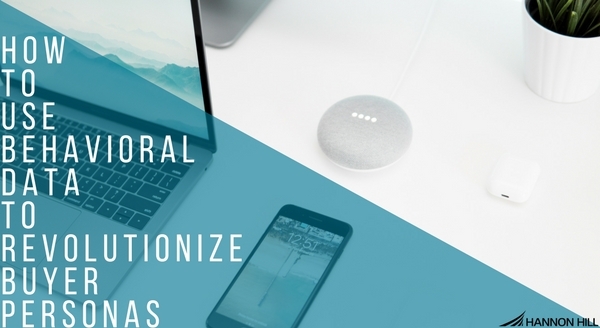 In this blog, we share four ways to personalize content with common MarTech tools. "How to Use Behavioral Data to Revolutionize Buyer Personas"
Buyer personas are critical elements of any marketing program. In this blog, we share how to use behavioral analytics data to improve buyer personas. 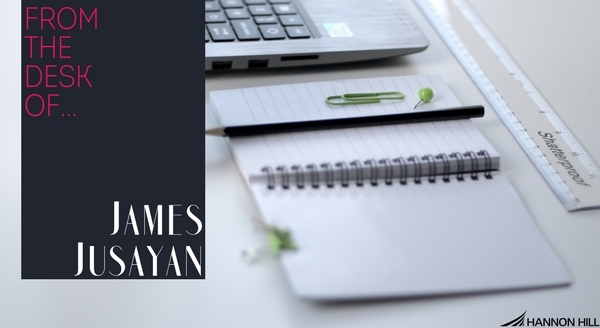 "From the Desk of...James Jusayan"
This new blog series from Hannon Hill spotlights individual Cascade CMS users. In this blog post, get to know James Jusayan from the Las Vegas Valley Water District. 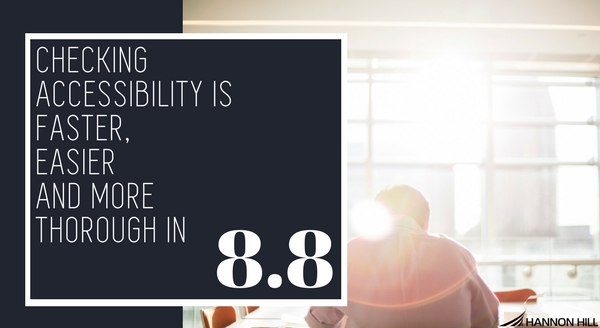 "Checking Accessibility is Faster, Easier and More Thorough in Cascade CMS 8.8"
We’re always looking for new ways to help teams accomplish more, together. In this blog post, we highlight an exciting new feature that allows SiteImprove users to access helpful information within Cascade CMS. 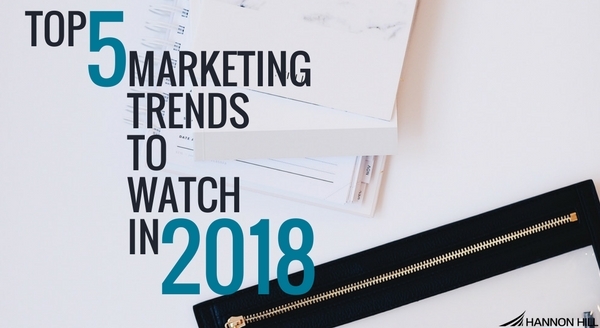 "Top 5 Marketing Trends To Watch in 2018"
Each year trends change how organizations interact with customers. In this blog post, we count down five trends we’re watching in 2018. "Why Mastering Customer Experience is Your Key to Success"
Customer experience is what separates the extraordinary from the ordinary. In this blog, we explain the value of creating exceptional experiences for businesses of all kinds. "[New White Paper] Is WordPress Right For Me?" 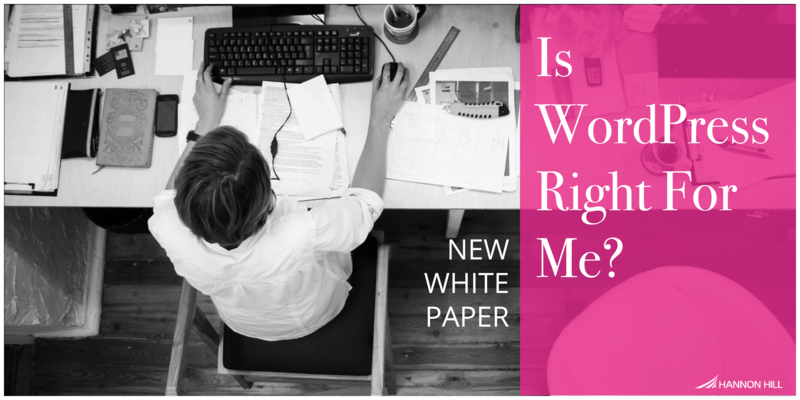 [New White Paper] Is WordPress Right For Me? WordPress is a widely-used blogging platform that can also support complex websites. In this blog post, we highlight a new white paper that explains some of the benefits and challenges involved with using WordPress. 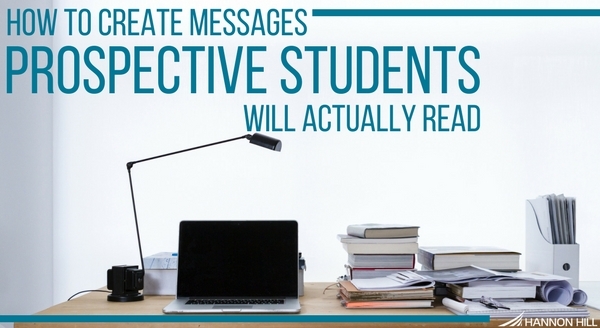 "How to Create Messages Prospective Students Will Actually Read"
Getting in front of prospective students can be difficult without the right strategy. 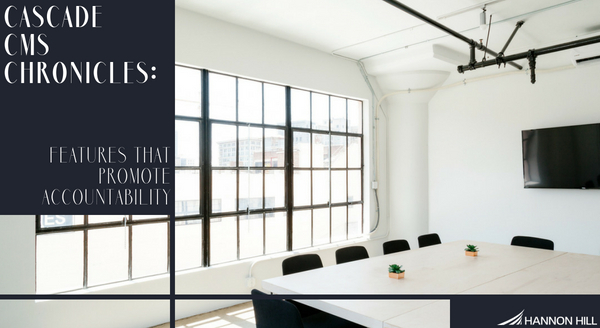 This blog post explains how they communicate, what they want to know, and how to tailor your message to reach them.